Demonstrates flow around weirs and other objects in an open channel. 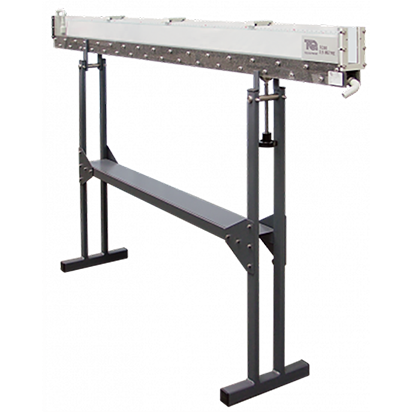 Supplied with all the models and instrumentation required for a complete package in flow channel investigations. The apparatus consists of a floor-standing 2.5-metre flow channel fabricated from transparent acrylic and anodized aluminium, together with various gates, weirs and blocks, enabling the phenomenon of flow channels to be easily demonstrated and studied. 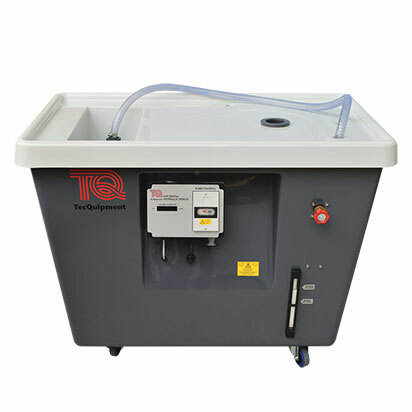 The equipment is designed primarily for use with TecQuipment’s Digital Hydraulic Bench which provides the necessary water supply, drain and digital flow-measurement facilities. Study of sluice and drum gates including investigation into hydraulic jump, specific energy and the determination of discharge coefficient. Study of submerged narrow-crested and crump weirs revealing the relationship between head over a weir and discharge. Study of a broad-crested weir (by combining the square and radius jump blocks) and the effects of changing the profile of the weir. Study of uniform flow in an inclined channel with investigations into the Chezy factor and coefficient. Study of a Venturi flume to indicate the discharge and surface profile, thus the derivation of the discharge coefficient.